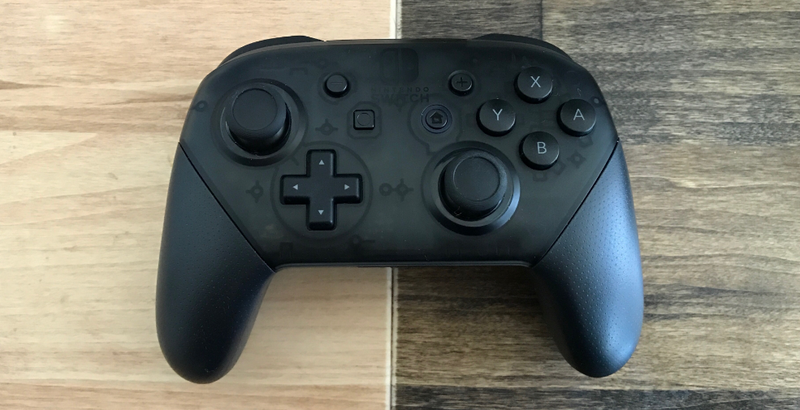 The Nintendo Switch’s Pro Controller is partially translucent, meaning that you can look inside the guts of the accessory. You’d think, then, that anything housed within would be easy to spot, but there’s actually a furtive little easter egg that you’ll need to look closely to see. Directly above the right stick, you should see a message that reads “thnx2 allgamefans!,” as a few people on social media recently discovered. It’s kinda hard to pinpoint, I spent five minutes searching for it despite knowing exactly where it was. I initially couldn’t see the words without flashing a light on the controller, and tilting it side to side a bit. It helps to move the stick down and to look directly on the dark ring surrounding it. Cool, huh? Gotta love Nintendo’s attention to detail.